Water storage tanks for sale, for supporting water, thick steel, no rust stains. Diameter of 2 meters, length of 3.7 meters, last year produced a large number of water tanks, now waiting for sale, the price is reasonable. 1. The shape of the water tank is round, square, rectangular and spherical, under special circumstances, can also be designed according to specific conditions into any other shape. 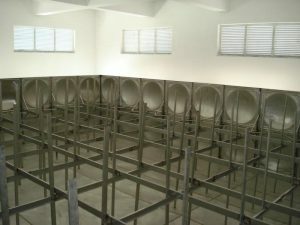 Round tank structure is reasonable, save material, cost is relatively low, but sometimes the layout is not convenient, covers an area of large. 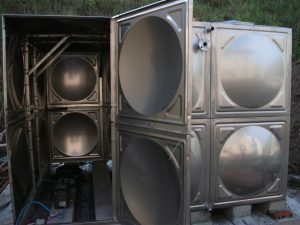 Square and rectangular water tank layout is convenient, small footprint, but a large water tank structure is more complex, material consumption is relatively large, cost is relatively high, steel tank to strengthen the rib on the tank interior, the cleaning difficult, is not conducive to corrosion, and processing inconvenient. The spherical water tank is beautiful and generous.